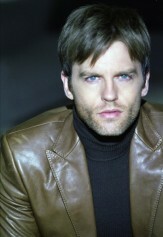 OLTL's Trevor St. John & GCB's Mark Deklin Join Cast Of New Tarzan Motion Picture Capture Movie! ABC Cancels GCB! Disappointed Stars Take to Twitter to Express Sadness! 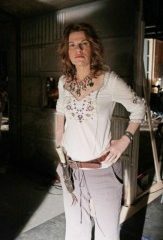 Sandra Bernhard Interview: How Will She Taunt The GCB's on the Season Finale? GCB's Mark Deklin Interview: In the Season Finale, Will Blake be forced to come out of the closet? TONIGHT: An All-New Episode of GCB! And, Will A New "Stud" Expose Blake & Cricket's Secret? TONIGHT All New Episode of GCB – "Pride Comes Before a Fall" – Watch the Preview! GCB's David James Elliot Interview: From Rip Cockburn to Kristin Chenoweth to Newt Gingrich! GCB's Kristin Chenoweth gets punked with a Dance Dare from ELLEN! – Watch the Video! GH's Scott Reeves to guest-star on April Episode of GCB! GCB's Annie Potts Fires Back at Newt Gingrich for his Anti-Christian comments regarding her new ABC Series – Watch the Video!